Intellectual Curiosity: It does exist! Close your eyes for a minute. Are they closed? Good! I want you to think about an employee within your organization that is always asking questions and many of these questions start with “Why.” These questions may make you uncomfortable at times because they make you think and maybe even question a process or procedure that you personally rolled out. Now ask yourself if this person is still with your financial institution? If they left, did they leave because their questions went unanswered or ignored? These team members were exhibiting intellectual curiosity. The term “intellectually curious” could be considered by some to be management jargon when used in the wrong context but I am here to tell you it is a real thing. Unlike Big Foot, I have seen intellectual curiosity in person. I am going to break my assessment into two types of intellectually curious people at our financial institution: Diggers and Connectors. Diggers are exactly what they sound like. Employees who are willing to dig in and find the answer, specifically without being told to do so. Diggers use their down time to sniff our resources they may have use for in the future. They read these resources and aren’t afraid to reach out and question the content. The diggers within our frontline staff are essential in keeping their resources up to date because they point out discrepancies. Some may find this off-putting but an intellectually curious leader finds this refreshing and encourages the behavior. Next-level magic happens when an employee uses the resource and performs mock account openings, account maintenance, etc. to test the procedures and build their confidence in preparation for a real client. How employees utilize their down time is a real testament to their intellectual curiosity. One of my favorite emails from a universal banker brought an issue to my attention surrounding our online banking enrollment process. Clients were confused when prompted for a “PIN” during their enrollment. We did include directions at the top of the page but these directions were not located right next to the field. This universal banker asked if we could alleviate the problem by inserting a question mark bubble or some other type of prompt right next to the field to reduce confusion and frustration which led to phone calls into the branch and poor client experience. Who wouldn’t want to get such a thoughtful email with our clients at top of mind? As a result of this email I reached out to our online banking provider, found it this WAS possible to add the help prompt and we have incorporated this into our online enrollment process. 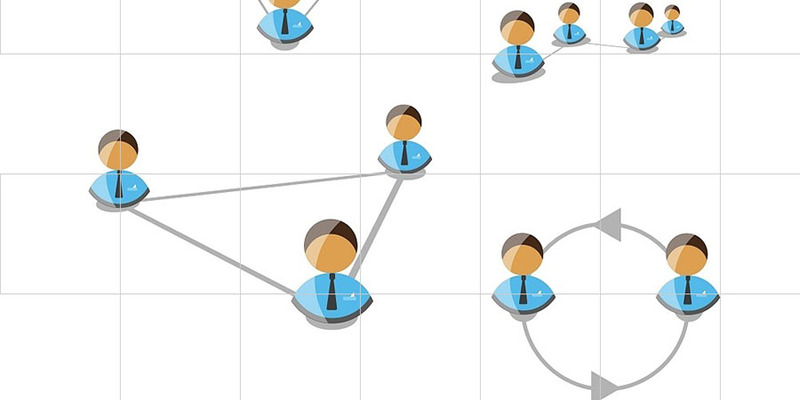 Connectors are leaders within financial institutions who take the time to learn how all areas operate, identify the employees that perform vital roles and then seek to create a network of resources and teams. They promote open discourse and encourage risk-based experimentation because they understand that when we fail, we grow. Connectors approach each relationship without preconceived notions, are empathetic and work to get the best out of people. A great example of a connector is someone to whom you can make the following statement, “I want to change our checking account parameters to make them less complicated” and they state “That has great potential. Have you thought to check with the Accounting Department since those types of changes may affect the call report? Also, please make sure to discuss your thoughts with Sue who manages our deposit account opening platform as this could affect her workflows.” Connectors’ curiosity allows them to see the broader impact across the organization. The question becomes, how do we identify candidates that embody intellectual curiosity during the hiring process? Diggers are more likely to come into the interview having researched the financial institution, ask questions about available resources and training opportunities and with good examples of how they were able to expand their knowledge base at their previous employer. Connectors are likely to come into the interview with excellent examples of how they were able to utilize resources across an organization to solve a problem. Many times, they have managed several areas including Accounting, IT, Compliance, and Operations and understand how changes in one area impact all other areas. If you are someone who considers yourself intellectually curious or maybe someone who does not, ask yourself what else you can learn to become more valuable to your organization. Find someone who is willing to mentor you and share their knowledge, resources and experience. Don’t be afraid to ask questions and ask “Why.” In the right environment Diggers and Connectors will thrive. In the wrong environment, where their questions are not appreciated, they will leave and intellectual curiosity will become elusive and sketchy, just like Big Foot.